Rachel fulfills an important and multi-faceted role at Howard & Sons with key responsibilities which include Human Resources, Work Health & Safety, explosives licensing, logistics co-ordination, quality control, environmental issues and authorising pyrotechnic articles with local, state and international authorities. 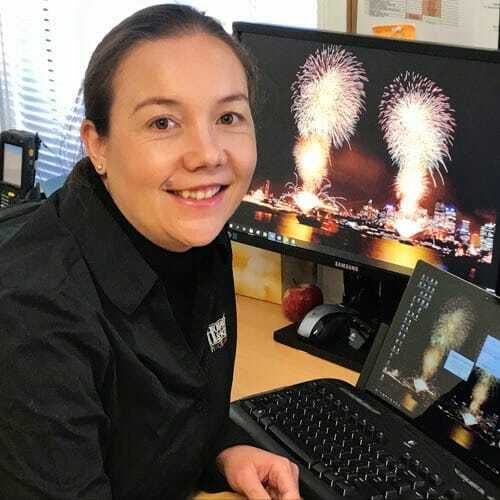 Since joining the Howard & Sons family in 2009, Rachel has been instrumental in improving our unique pyrotechnic management systems, explosive management plans and dangerous goods transport. She has also worked extensively with the local community liaison committee. Rachel’s favorited parts of her job include escaping the creative trap, the power of deadlines, resolving roadblocks and product innovation. She was born in Sydney, but her family then decided on a ‘tree change’ and escaped the big smoke to live in the beautiful local rural areas which surround our Wallerawang facility where she now works. Rachel graciously volunteers her time to support several local charities and is currently the Honorary Secretary & Treasurer of the NSW Farmers local branch. Throughout her senior education and professional career, Rachel’s leadership and ambassadorship qualities have always shone through, resulting in her coronation as Rydal Showgirl in 2011.